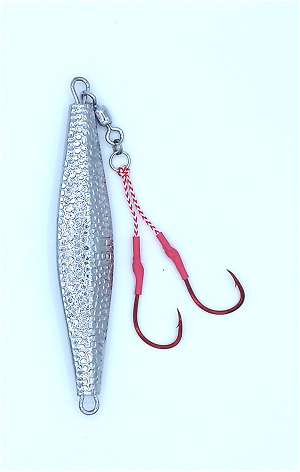 Great for rigging stinger hook setups on a variety of Bottom Explorer bucktail jigs, diamond jigs, or metal jigs (as shown below). Each pack contains 2 pairs of assist hooks. Click the button below to add the Peace Token Hooks - Assist Hooks to your wish list.